The Dubai International Financial Centre (DIFC) has published a whitepaper providing guidance for fintech firms aiming to enter the Middle East and Africa markets. ‘A Roadmap for FinTech Firms Entering the Fast-Growing Emerging Markets' report was revealed at LendIt FinTech USA, a global fintech forum which took place in San Francisco. The report provides recommendations and guidance for fintech firms looking to capitalise on the growth potential of the region. It draws on the experience of a select number of fintech firms, as well as a venture capital fund and leading banks that have established businesses or plans for the market. "Despite its notable growth on the global level, the fintech industry has only realised a fraction of its true potential. The real opportunity lies in emerging markets, which are still largely untapped due to the lack of access to financial services", said Arif Amiri, chief executive officer of DIFC Authority. "With close to 70% of its population having either limited or no access to financial services, the region sits on a large pool of opportunities that are constantly fuelled by the increasing need for financial solutions. As the region's most comprehensive FinTech ecosystem, we have created an enabling business environment to help fintech firms and investors tap into these opportunities, keeping in mind the need for access to funding, regulation and infrastructure." 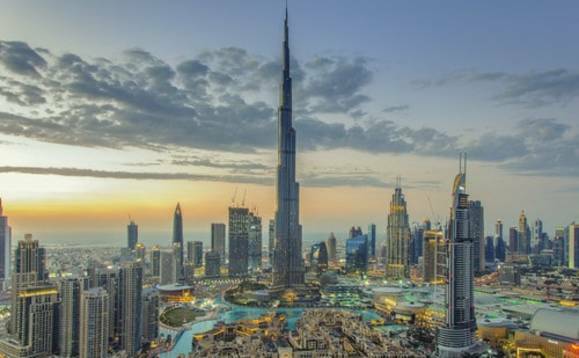 According to the whitepaper, the number of fintech companies in MEA is expected to reach 1,845 by 2022, almost quadrupling since 2015, when the figure stood at 559. The two main drivers of this growth are the huge market potential, fuelled by its large unbanked population and high smartphone-adoption rates, and the strong ecosystem support, represented by the development of digital infrastructure and government initiatives for financial inclusion. Despite its notable growth on the global level, the fintech industry has only realised a fraction of its true potential. The real opportunity lies in emerging markets, which are still largely untapped due to the lack of access to financial services"
The most active FinTech segments in MEA are payments/remittances, digital banking, online lending, crowdfunding, InsurTech, blockchain/crypto, RegTech, artificial intelligence and analytics.